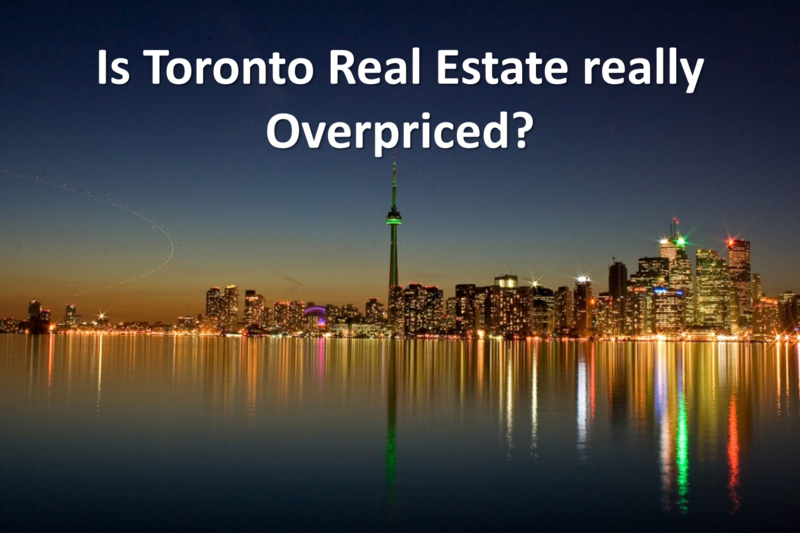 MK Properties / Uncategorized / Is Toronto Real Estate really Overpriced? Summer is Here! I hope you are enjoying some of the weather we are having. We are enjoying the outdoors with our three little girls much more, and I am writing this blog from a mini trip to Las Vegas. Its always nice to reflect on why we are here, to work or to live? We need to have a balance in both, but I prefer the latter! For those that have lived in the Toronto area for most of their lives, then the answer to the question in the title of this blog is a resounding YES! The affordability of homes vs Income growth over the last 30 years has gone up. BUT, are all variables the same? Let’s go back 32 years to 1985 (aka Back to the Future) and do a comparison on buying a home. Seeing the above, it’s clear that after looking at more variables, its not a slam dunk for buyers in 1985 (and this was prior to the crash of 1989/1990). For first time home buyers, you could argue that both times are equally as difficult to purchase a home (one requiring more down payment to save for, the other needing a higher percentage of income to make mortgage payments). If we flip the tune to investors however it is a different story as we typically need 20% down to purchase. With home prices going up on average 5x greater than income over this time, it shows that things continue to get tighter (this is one of the reasons many investors do not invest in Toronto, but outside the GTA). Check out our past blog “Where are the Best Real Estate Investments in the GTA” for insights into where investors can profit in real estate without speculation. It is like the old saying goes “the Best Time to Buy Real Estate is always 5 Years ago”. However, if the reason you aren’t investing in real estate is because it used to be cheaper, then perhaps you may be missing out. Each investment must be analyzed based on its current financial merits and future economic potential (you constantly need to profit and be positioned for growth). If I stopped purchasing homes because the same home was less expensive years ago, then I would not be where I am today, and would have missed out on countless opportunities. The picture to the left is an Illustration to show that maybe Toronto isn’t that overvalued, but actually growing in becoming a world class city; and in many respects much more affordable, comparably. On a global scale, Toronto (and Canada) are viewed as very desirable to live in. And It shows….Canada was recently ranked the #1 country to live in for Quality of Life (Click here for source), and our immigration rate is amongst the highest around the world per capita. 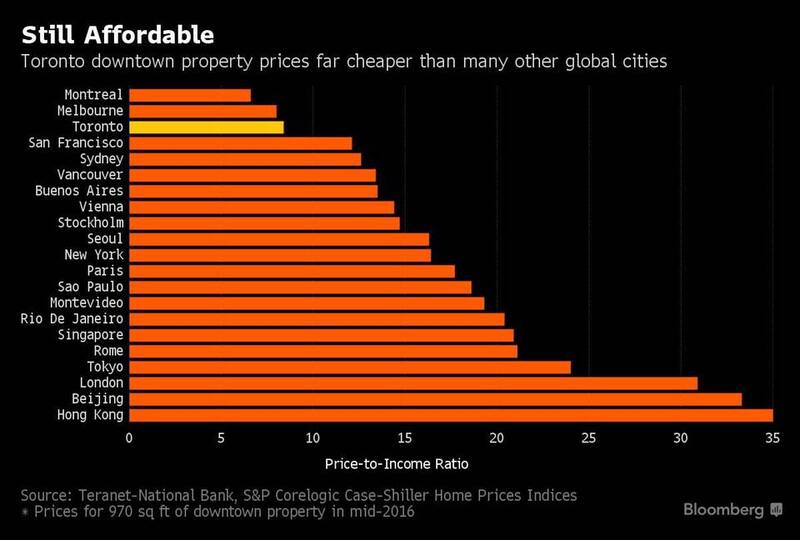 If you compare Toronto’s affordability to some of the other top Global Cities (some of which have a lower population), then you can see that we are still relatively affordable. In looking at the future of our housing market and the meteoric rise in prices over the last few years, we may be in for quite a correction. But on the other hand, looking at the long-term economic indicators of the GTA, we may even see house prices double over the next 10 years. As investors, we need to be prepared for both and set our investments to profit regardless of the housing market increasing or decreasing.